Students use their daily student organizer to keep track of their homework assignments and long-term projects. The organizer also includes a review of our school rules, basic procedures, PUSD discipline plan, and other important school information. 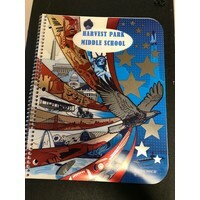 Organizers will be distributed to students the first week of school.